Would you like to have some festive fun with us? 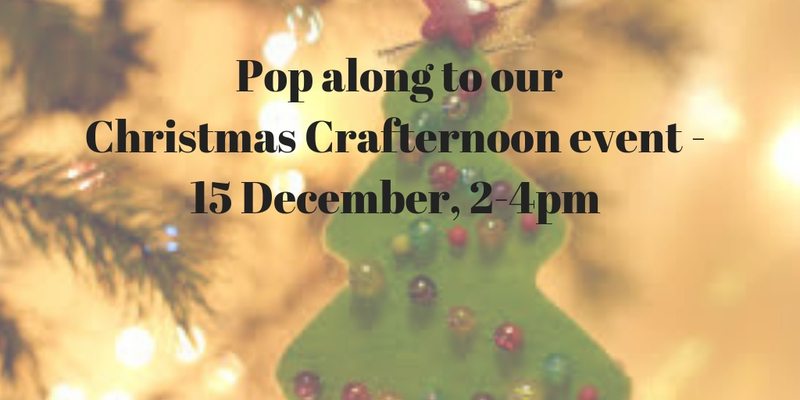 Join us on Saturday 15th December for a fun and festive Christmas Crafternoon! Everyone is welcome. We’ll be making a variety of recycled decorations, from fir-cone reindeers to teabag-wrapper wreaths, and attempting some eco-friendly alternatives to wrapping paper. There will be activities available for all ages and crafting abilities, as well as help and how-to demonstrations. Mini paperback Christmas trees: prepare to get folding! Craft materials and equipment will be provided, but feel free to bring along your own projects if you’d like to! We’ll also be serving some delicious festive refreshments.